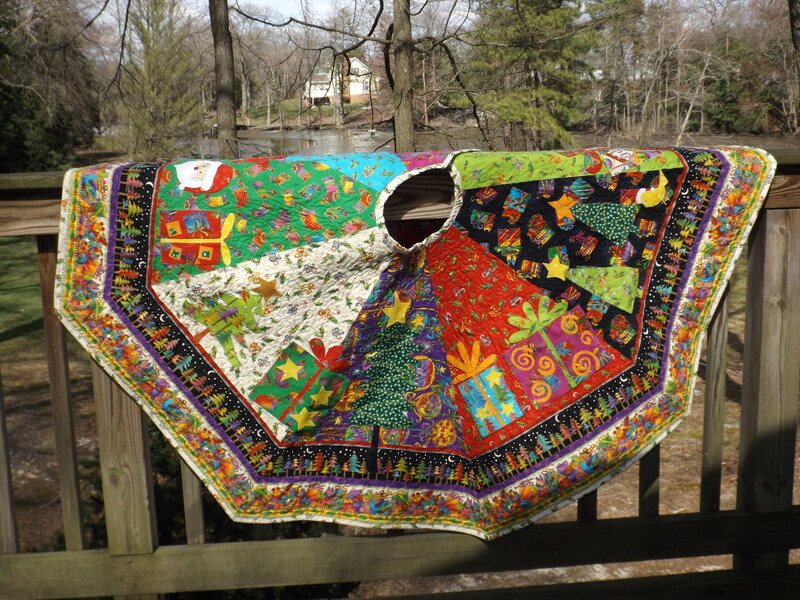 My daughter’s Christmas tree skirt is finished and I am very happy with the result. Maybe I’ll make one for myself. 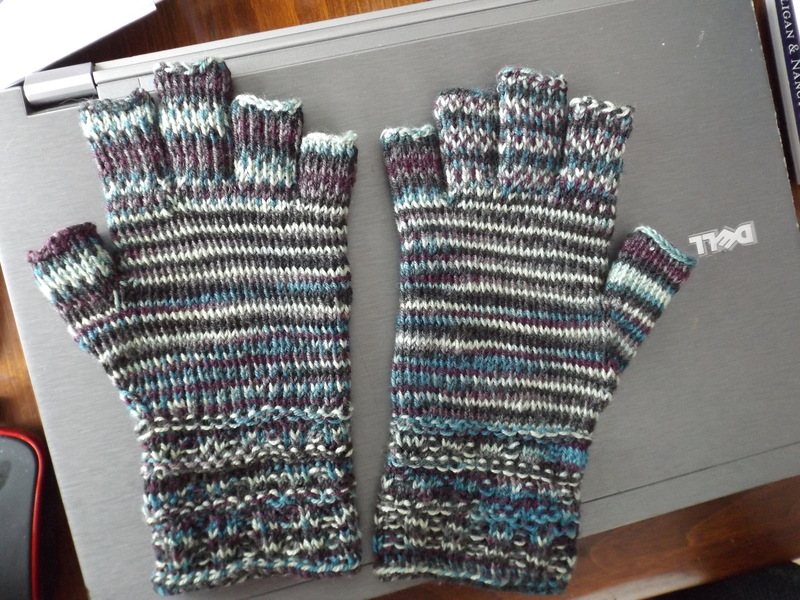 Here are the twined knitted gloves I made for her. The socks are almost finished. Twined knitting takes so much longer than normal knitting, but it’s worth the work. I think I’ll make an Ascot with the rest of the yarn. They look so tidy. I’ve started working on the Splendid Sampler. I couldn’t decide on which colorway to use so I made both. The second block has a lot of tiny pieces. It took forever to cut and my knees locked up. But I’ll live. The back was finished, so I dragged my batting. Dot was not much help. She kept falling asleep. She liked the fleece, but I would have had to piece it in two places. I got out the Warm and Natural. 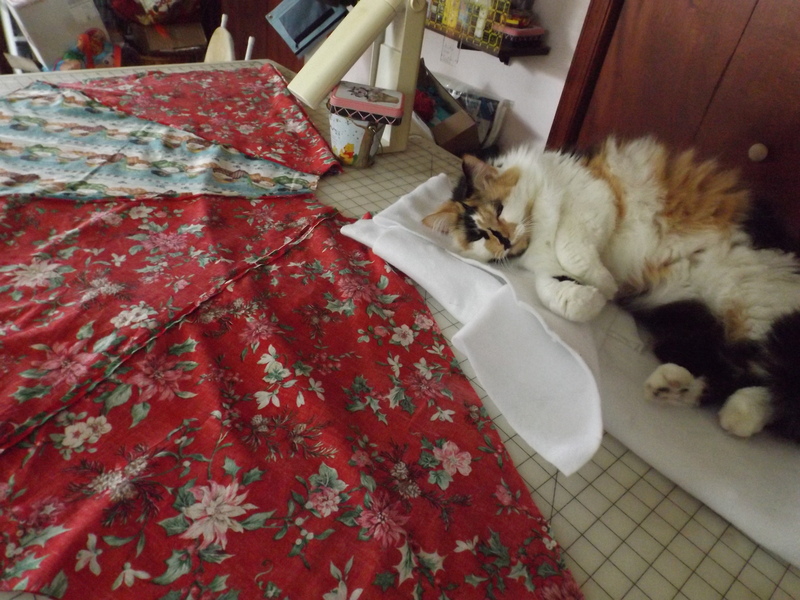 I didn’t really want to use it, but it’s 96 inches wide, so, no seaming. Now, there’s only two yards left. I’ll have to order some more soon. 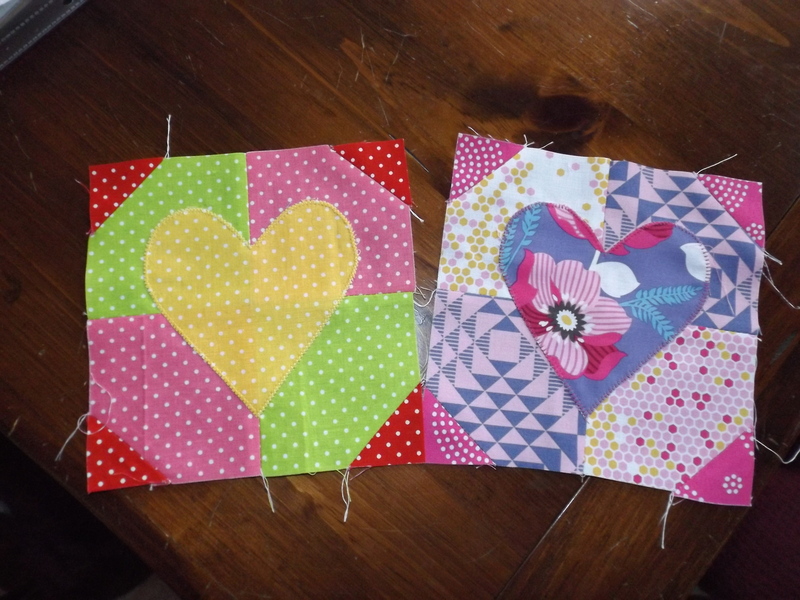 I hope to get the quilting accomplished tomorrow. We’ll see.